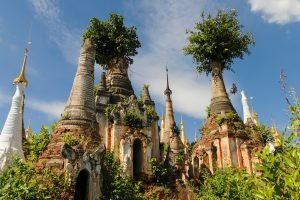 Phaungdawoo Pagoda Festival is the most important event in Inle Lake. It is also the most important religious festival in southern Shan State. 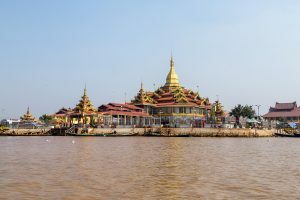 Four of the five Buddha images in the Phaungdawoo Pagoda are transported on a royal barge which is pulled by big Inle traditional boats. The mysterious fifth Buddha image is hidden to 'guard' their place at the Phaung Daw U Pagoda. 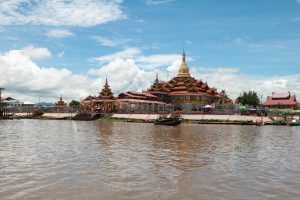 Throughout the rowing competitions of Phaung Daw Oo Pagoda Festival are held, which makes a wonderfully visual spectacle. Pilgrims from all over the country come to this festival and pay homage to the four Buddha images. 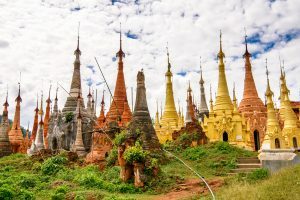 The festival is generally held in September or October, depending on the Myanmar calendar.